Pool Pumps - ACES Inc.
One of the most crucial pieces of equipment for your pool is your pool pump. Your pool filtration pump is also one of the most expensive pieces of electrical equipment on your property, due to the high energy-consumption. There are three primary types of pumps: Variable-speed, 2-speed, and single speed. Over time, Variable Speed Pumps pay for themselves and will save you money in the long-run by the reduction of your electric costs to run. In the state of Florida, if you are renovating or building a new pool, you are required by law to install a variable-speed pump due to the new energy efficiency codes. At ACES, we always recommend the Jandy product line of variable-speed pumps. All Jandy variable speed pumps carry a 3-year manufacturer’s limited parts and labor warranty. We warranty all Jandy pumps, and service Pentair/Sta-rite and Hayward pumps. Call us today for more information. Upgrading to a variable-speed pump may seem expensive at first-glance, but you are going to save money over time. Click here to calculate your savings for switching to a premium Jandy variable speed pump! 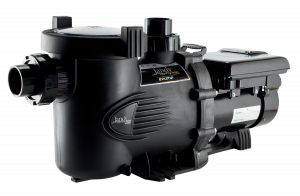 Jandy has a full line of premium variable speed pumps for any pool or spa application. The Jandy VS PlusHP is up to 70% quieter than standard single-speed pool pumps, and can save you up to 90% in electrical cost savings. Jandy’s ePump is equipped with eight variable speeds and a high-efficiency motor, making it one of the quietest and most efficient variable speed pumps available today. The Jandy VS FloPro™ 1.0 HP is a high-performance, ultra-compact pump which includes a variable-speed, energy-efficient motor that significantly reduces energy costs. All Jandy pumps are ENERGY STAR® qualified. ACES is a proud member of the Zodiac Pool Pro Network and we always recommend using Jandy products. All Jandy variable speed pumps come with a 3-year limited manufacturer parts and labor warranty. We warranty all Jandy variable speed pumps, and also service Pentair and Hayward/Goldline products. For any repair or replacement issues, or the installation of a new variable speed pump, call ACES today.